As a homeowner, you always want your home to be in the best shape with clean siding, impeccable paint and beautiful exteriors. Then why ignore the roof? Roof cleaning for your Vancouver, WA area home is extremely important because an unclean, mossy roof can result in shingle deterioration and wood rot. Do not get tempted to take on a DIY roof cleaning project, as it can be dangerous.Call Artisan Window & Gutter Cleaning for professional roof cleaning to save yourself from expensive repairs and to extend the roof's life. We have a knowledgeable team, proper equipment, and experienced people to handle the cleaning job. 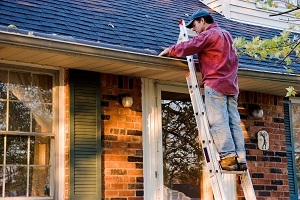 Every homeowner knows how expensive and disruptive roof replacements and repair can be. Opt for the easier way out and keep your roof in good shape by scheduling an appointment with a roof cleaning company who provides roof moss removal in your Vancouver area home. The roof is exposed to harsh weather elements all through the year. Dirt, rain and moss can cause severe shingle damage, which can be detrimental to the roof. Wondering how to remove moss from the roof? Roof cleaning is a matter of safety, aesthetics and integrity of your roof, so never wait when you think your roof needs cleaning by a reputed roof cleaning company like us. An unclean roof with moss growth is not only dangerous for your roof but also for your health. 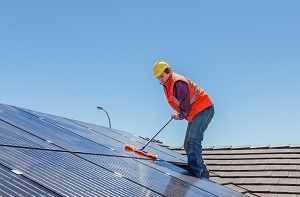 Calling a roof cleaning company for your Vancouver area home to take care of the cleaning process can dramatically decrease health risks and also bring down energy costs. Looking for a roof cleaning company in the Vancouver area? 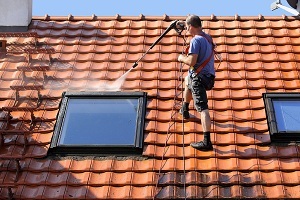 Reach Artisan Window & Gutter Cleaning at (360) 605-3181 for thorough cleaning and effective roof moss removal.